Why do Christian leaders often find themselves bullying, manipulating or exhibiting other forms of leadership malpractice? Bishop Todd Hunter explores the root of the problem and how we can help prevent it in our own lives. 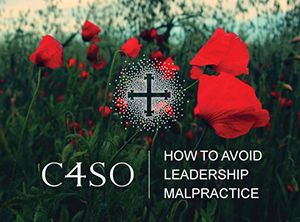 What is at the root of leadership malpractice? Failure to ground ourselves in the reality that the Kingdom of God is never at risk. The Kingdom of God is simply the expression of God’s being: the places and spaces in which what God wants done is done. That’s why Jesus said, “When you pray, say: Thy Kingdom come, Thy will be done, on earth as it is 24/7 in your sphere, in your realm, in heaven.” It’s the place where what God wants is unalterably done. That Kingdom is never at risk, no matter what might be happening in the cosmos. Think of Jesus’s arrest in the garden. He says essentially to Peter, “Peter, I’m not insecure here. I’m not afraid.” He explicitly says that man has no power over him unless it has been given to him. How does anybody stand in that kind of peace? That’s completely abnormal—unless you are living in the settled knowledge that the Kingdom of God is never at risk. How can we as leaders and ministers follow Jesus’ example? As ministers, we need to work from an essential rest—not do our work from an anxiety of what might happen or a fear of this or that. That taints everything and becomes the justification for working in these other forms of power. If we can realize that the Kingdom of God is never at risk, then we have an essential basis for being the kinds of people who derive our lives from and live them in the Kingdom of God. Our work as ministers is not unimportant, and our work is sometimes difficult. But we can enter into these difficult times from the rest that comes from the knowledge that the Kingdom of God is never at risk. If, by contrast, we can come to rely upon God for the achievement of our aims, then we can stop doing what we know to be wrong. Once we have given our aims over to someone else, we can stop all the rationale for leadership malpractice. Then we can stand against evil in our world unconcerned about what may happen to us. Bishop Todd delves deeper into healthy leadership in his upcoming book, Transformation at Work, available later this fall. Many leaders need to win (and thus humiliate others), need to get their way (and thus threaten others), need to be seen in a positive light (and thus blame others), need to give good news to those they report to (and thus intimidate others into fudging reports when necessary), and need to be seen as powerful in every setting (and thus speak condescendingly to others). 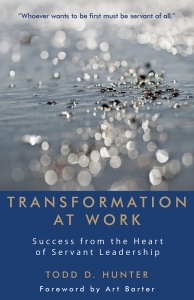 Transformation at Work demonstrates that leadership is more effective and ethical when done in servant-led ways. Put everything you have into the care of your heart—the hidden, causative, motivational you—for everything you do flows from it. It is the real source of your outward life. It determines what your life amounts to. 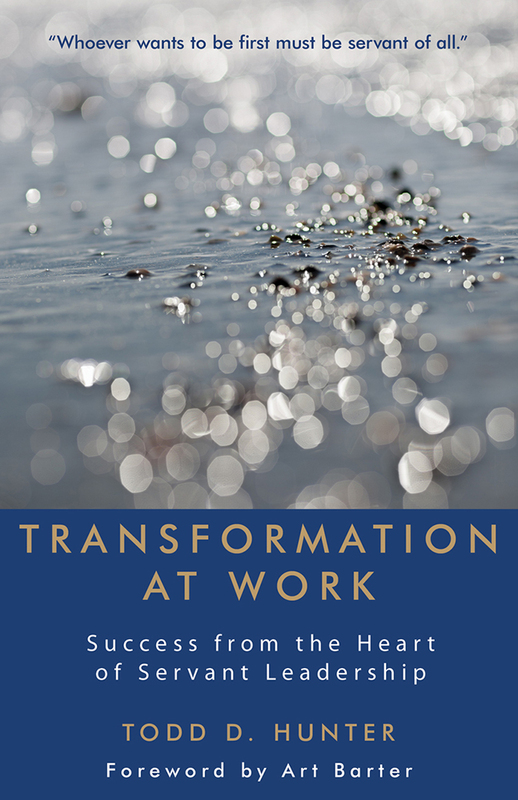 Transformation at Work leads you on a personal journey, guiding you to an interior renovation of heart and soul that produces genuine and consistent servant leaders. Systemic Injustice What’s Changing in Our Children’s Ministry!